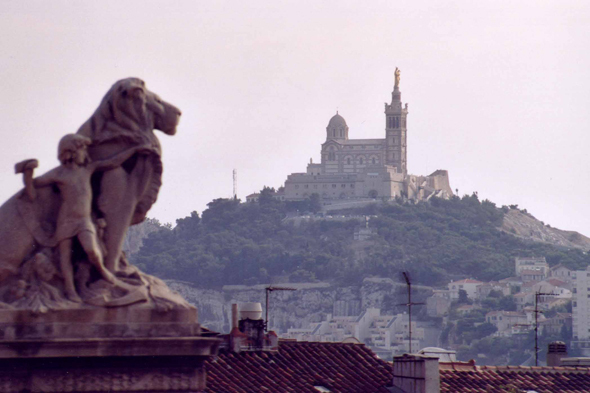 Notre-Dame-de-la-Garde of Marseilles. Rough calcareous piton culminating at 162 m, the mountain of the Garde sheltered a vault of pilgrimage as well as a fort. The queen Claude and François 1st, Louis XIII, huge numbers of personalities climbed this stiff hill.